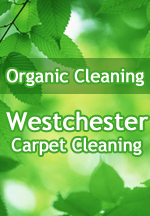 Hoboken Carpet Cleaning is a licensed and insured carpet, rug and upholstery cleaning company with many years of experience in cleaning and maintaining commercial and residential carpets, area rugs, and upholstery. We have an outstanding reputation for quality and integrity throughout New York, New Jersey, and the surrounding areas. We provide high quality carpet, rug, and upholstery cleaning services so you can rest assure that your home or business offices will be impeccably maintained and will reflect the image you wish to project to your guests, visitors, and clients. Hoboken Carpet Cleaning’s professional staff is fully trained and certified in the most innovative carpet, rug and upholstery cleaning methods. We comply with all major carpet requirements, including those pertaining to the new generation of stain-resistant carpeting. We are constantly updating our carpet cleaning methods, and carpet cleaning equipment to guarantee that your carpets’ fine fabrics are cleaned with the latest, advanced carpet cleaning techniques available. Customer service is our top priority offering you a wide variety of carpet cleaning and upholstery services at affordable prices. 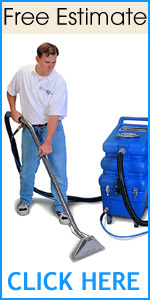 At Hoboken Carpet Cleaning, we are committed to providing you superior carpet cleaning services. Our cleaning services have been carefully mastered to perfection throughout the years. We gladly welcome the opportunity to demonstrate the quality and the reliability of our services. We guarantee you complete professional care for all your carpet and upholstery cleaning needs, because we know that our future depends on your complete satisfaction!